Running Meter Press, 9780984786039, 324pp. The recessionary days of 1974. Chicago. 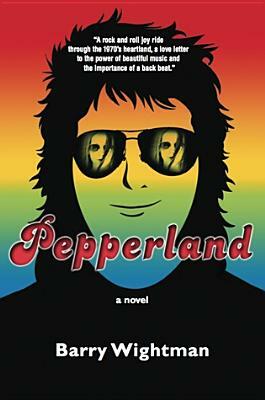 Pepper Porter is on his improbable way to rock 'n roll stardom when his long-gone girlfriend reappears. Sooz, a subversively brilliant computer wizard, has come up with the algorithm that will forever change the direction of computer communications, fuel the birth of the personal computer and the Internet. Trouble is - she's on the lam from the FBI - she's ex-Weather Underground, radical and revolutionary. She wants to change the world, and deal with her past. So does Pepper. Pepperland is about the search for 'it', the hard-to-describe ecstatic magic that occurs when one experiences great music and amazing technology. Or love.